Each year The Arts Council presents the Marvin S. Cone Annual High School Juried Art Show to recognize the artistic talents of Martin County high school students. Participating students are from Martin County, South Fork and Jensen Beach High Schools, Clark Advanced Learning Center and The Pine School. The art teachers at each school select each piece of artwork for entry in the exhibit. It is a highly competitive process; the categories for cash awards are photography, painting, sculpture, mixed media/assemblage, printmaking, and drawing. 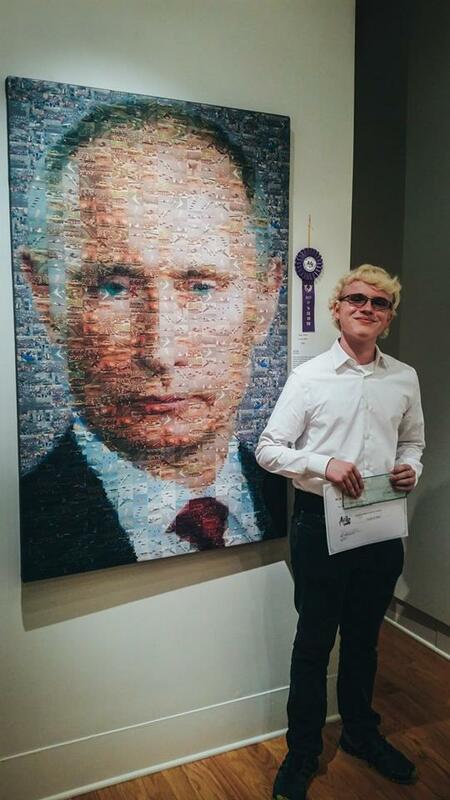 The awards reception for the 29th Annual Marvin S. Cone Annual High School Juried Art Show was held on April 23rd, 2015 at the Court House Cultural Center Gallery. Awards were presented for the Best of Show as well as 1st, 2nd, and 3rd places in each of five mediums. Additionally, each high school principal and the school superintendent select pieces to purchase that become a part of a permanent collection at their respective high schools and the superintendent’s office. The student exhibit is sponsored by Fox, Wackeen, Dungey, Beard, Bush, Goldman, Kilbride, Waters, Robison, and McCluskey L.L.P. ; Publix Super Market Charities, Palm City Art & Frame, Women Supporting the Arts, Karen L. Barnes, and Vianne Nichols.